O'Meara Ford Denver: O'Meara Ford your Denver Ford Dealer! O'Meara Ford is your Denver Ford Dealer! The 2013 Ford Mustang is available here at O'Meara Ford! Summer is here! Come in and visit us here at O'Meara Ford, your Denver Ford dealer, and get your Ford Mustang today! Check out the specs on the 5.0L! 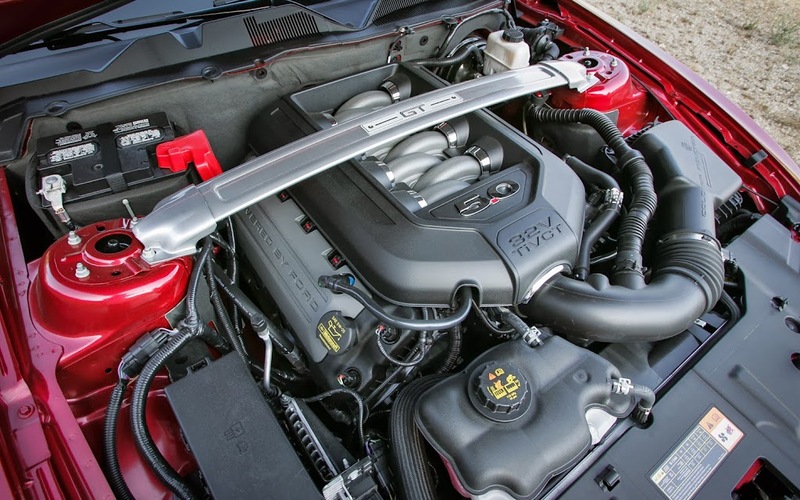 The Mustang 5.0 engine pays homage to the original 5.0, delivering 420 horsepower* – eight more horsepower than the previous engine – and 390 lb.-ft of torque. The powerplant features twin independent variable camshaft timing (Ti-VCT), an aluminum engine block and cold air induction to help pump out more power. But that's only for starters. The 5.0 also has a compression ratio of 11:1 and a cylinder head designed to optimize airflow. From the High-Energy Coil on Plug design that allow the pistons to run cool, every part under the hood is designed to work in harmony. This lets the muscular engine breathe efficiently and deliver 100 percent exhilaration every time you hit the gas. And then there's the exhaust delivering a distinctive throaty roar. Purely Mustang. 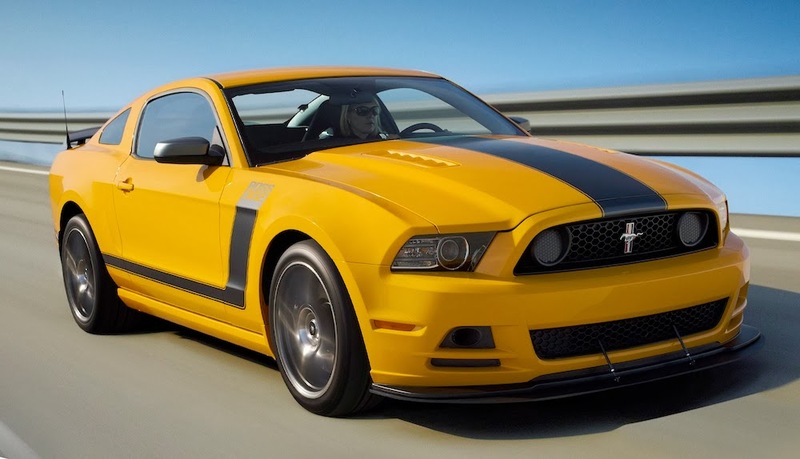 Meet the Boss 302 and the Boss 302 Laguna Seca for the race track. The Boss 302 pays homage to the past with retro 1970-style iridescent signature hockey stripes. Both models feature the legendary Mustang 5.0 engine – a 444-horsepower Hi-Po 302 V8 that redlines at 7,500 rpm. Other standard features include a “runner in the box” intake manifold and forged pistons, sodium-filled valves, valve springs, oil cooler and high-lift cams. Adjustable front and rear shocks can be dialed in for excellent vehicle performance no matter the surface, while the quad exhaust system surrounds you, producing a growl that's music to any gearhead's ear. For the street. For the track. For the performance driver in you. 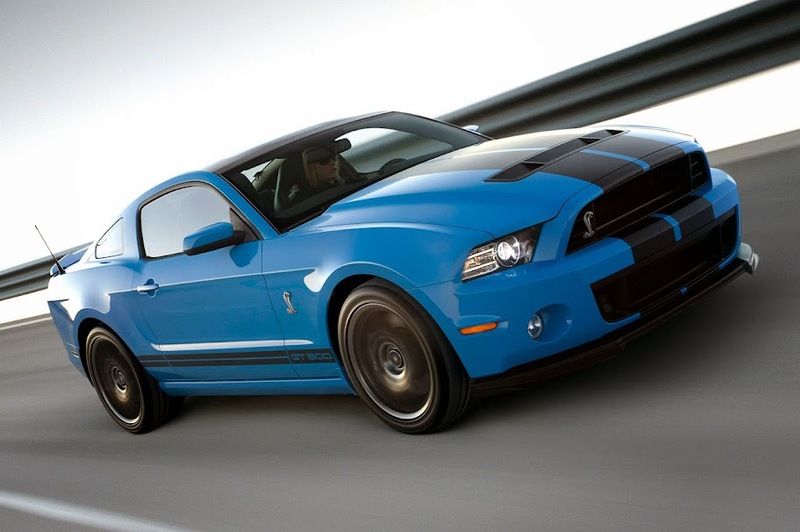 2013 Ford Mustang Shelby GT 500 with Track Pack and Performance Package! 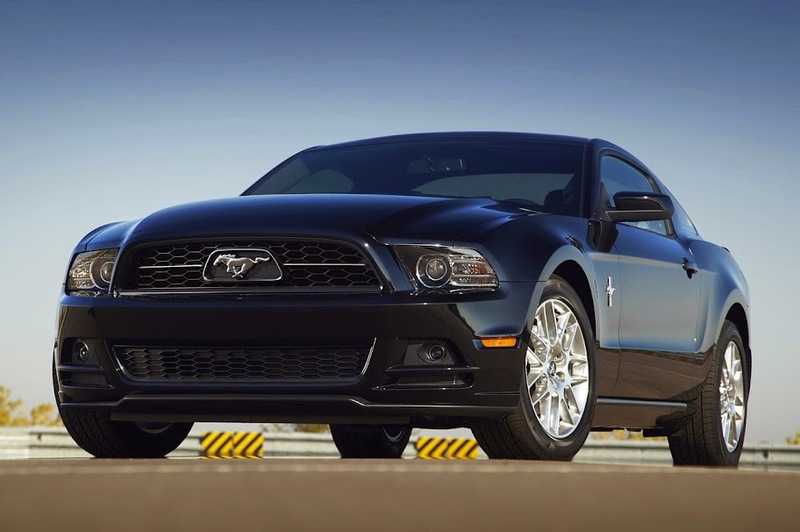 Check out all the other options available on the 2013 Ford Mustang! The available voice-activated Navigation System with integrated Sirius Traffic™ and Sirius Travel Link™ networks several functions and displays them on an easy-to-use eight-inch, touch-screen display. The system features audible turn-by-turn route guidance, traffic alerts, current and forecasted national weather information, fuel prices, sports scores and schedules, and movie listings. * On top of all that, the 10-gigabyte music jukebox function stores more than 150 hours (approximately 2,400 songs). Browse your music with your fingertips or use voice activation to play back a track. The integrated DVD player is capable of reading CD-Audio, MP3 CDs, DVD, DVD-Audio and DVD-ROM (for digital map updates). And the system’s screen can even be customized with personal photos. SYNC® AppLinkTM makes it even easier to stay in touch with your world and connected to the road.• Stay in touch with the people in your life with hands-free calling. *• Have incoming text messages read aloud to you. • Simply say what or who you want to hear and get it with voice-activated music search.• Bluetooth® audio lets you wirelessly control your entertainment with voice commands. **• SYNC Services† is complimentary for three years and provides turn-by-turn directions to just about anywhere, 411 business search, personalized sports scores, news, horoscopes and more.• AppLinkTM lets you voice-control some of your favorite mobile apps like Pandora, Orangatame Open Beak and Stitcher.• Do all of it without taking your hands off the wheel or your eyes off the road. *You must have a Bluetooth®-enabled phone paired to your SYNC system. The Bluetooth word mark is a trademark of the Bluetooth SIG, Inc.**The Bluetooth word mark is a trademark of the Bluetooth SIG, Inc. HD Radio is a proprietary trademark of iBiquity Digital Corp. iTunes is a registered trademark of Apple Inc. All rights reserved.†SYNC Services is complimentary for three years on most 2011, 2012 and 2013 vehicles. After three years, subscription fees will apply. On the 2012 Edge, 2012 Explorer and all 2013 vehicles built with SYNC with MyFord, SYNC Services will require a subscription fee at the onset of service. Let the sun shine in. The available glass roof on Mustang allows you to do that and more. Designed for comfort, it features SPF 50-equivalent tinting that helps block out 96 percent of the sun’s ultraviolet rays (a retractable sunshade is included). And constructed of laminated safety glass featuring a built-in polyvinyl layer, this roof is also designed to maintain excellent interior acoustics and quietness. The glass roof is available for both Mustang and Shelby. Check out our New Ford Mustang Inventory!